Educator with qualification to a Diploma level. 2 Child Care Workers with Certificate III level qualifications. The Preschool program is professionally managed and led by our experienced early childhood qualified Preschool Managers. Our Preschool Managers work together with the Preschool staff, Learning Links Board and families to achieve high quality education and care reflected by our Exceeding rating in relation to the National Quality Standards. 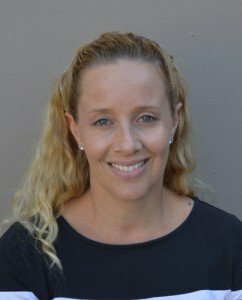 Sarah Herbert is an Early Childhood Special Educator who is passionate about all children’s education, inclusion and wellbeing. Sarah has worked as a Teacher and Manager in our inclusive preschool since 1999 and has 20 years’ experience working in community based early childhood education settings. Sarah holds a Bachelor of Teaching (Early Childhood) and a Bachelor of Education (Special Education – Distinction). In 2006 Sarah was the first Early Childhood Teacher awarded a NSW Quality Teaching Award by the Department of Education and Training. Sarah is also Hanen certified. Sarah places great importance on developing strong relationships with each child and family. Sarah is committed to implementing high quality programs that support children of diverse abilities to learn through play and interest based experiences. Melissa Murphy has worked in the Early Childhood Sector for over 18 years as an Early Childhood Teacher and Preschool Manager. 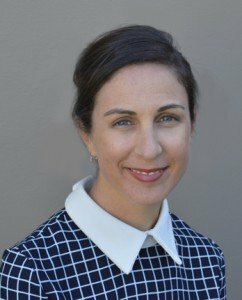 She has also worked as a lecturer and tutor for the University of Western Sydney and the Sydney Institute of TAFE and delivering a variety of professional development workshops for early childhood staff and families . Melissa holds a Bachelor of Education (Early Childhood 0-8 years). Melissa has a passion for and expertise in working with children with diverse learning needs, with a strong focus on strengths based and family centered practice and the inclusion of children with additional needs. Child Care Workers who hold the Certificate III in Early Education and Care. Our team of educators, led by our Early Childhood Teachers, provide education and care for children. Our educators have extensive knowledge and experience in supporting and promoting children’s learning across all areas of development in a preschool program. 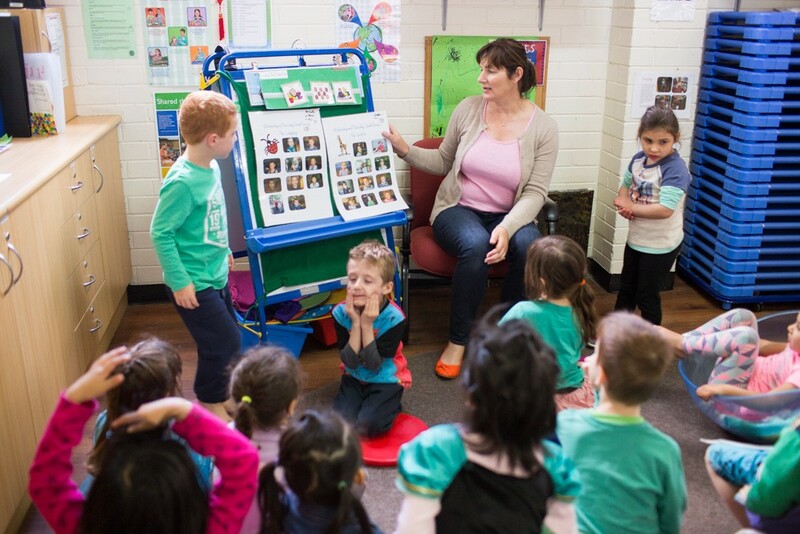 Our Speech Pathologist assists children at Learning Links Preschool to communicate to the best of their ability. This is particularly with children who have difficulties expressing their ideas, asking for help, understanding what others say and following instructions. Speech Pathologists also collaborate with staff and families to support and facilitate children’s communication skills in all contexts. The Occupational Therapist’s focus is to support children to engage in their primary occupations of learner, player, and self carer. At Learning Links Preschool, our Occupational Therapist enhances the teaching of fine and gross motor skills across the program, and assists children to access all areas of the program and their environment to the best of their ability. Self-help skills such as participating in meal times, or around toileting. Taking part in learning experiences with their peers. Our Occupational Therapist collaborates closely with the classroom teachers to set goals, and assess the achievement of those goals. Provisional Psychologists work together with our teachers to support all children’s learning in the preschool program. At Learning Links Preschool, Provisional Psychologists support the development of children’s social and emotional skills and overall well-being through targeted small group programs and overall whole group interactions. Families of children enrolled at the Learning Links Preschool are welcome and encouraged to contact our Provisional Psychologists for a chat or to discuss any concerns. Provisional Psychologists are available to support children and families in many ways such as establishing and following home routines, behavioual concerns, social skills, preparing for a sibling, grief and loss, divorce, anxious behaviours, learning difficulties, parenting strategies and sleep routines. This support is a free service, and confidential meetings can be arranged. Our Provisional Psychologists offer broad general support to the whole preschool community as well as individualised support so each child gets the best out of their year at preschool. Provisional Psychologists can answer questions regarding psychological assessments to assist with learning and behaviour. Provisional Psychologists are also able to assist preschool staff and parents implement assessment recommendations. Our Preschool has strong relationships with many universities and TAFE Colleges. We regularly offer placement to students under the supervision of our professional team. Work experience placements for students form Secondary Schools are also sometimes available, where there is a particular interest in the work that we do. If you’d like to organise a placement at Learning Links Preschool, please get in touch with the Preschool Manager on 8525 8230 or via email preschool@learninglinks.org.au. Please include information from your school, TAFE or University regarding the requirements of the placement.